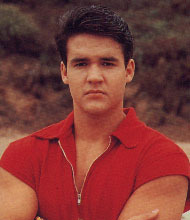 Strong and fearless, Jason is the former Red Ranger and original leader of the Power Rangers. To Jason went the Tyrannosaurus Power Coin, giving him the power of the Tyrannosaurus, and control of the Tyrannosaurus Dinozord. Red Ranger's power weapon is the Power Sword, a powerful weapon with a razor sharp edge. His weapon combined with the others to form the Power Blaster. 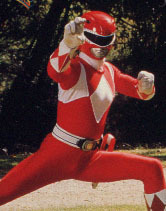 As Red Ranger, Jason gained enhanced strength, speed, and durablity. His tactical knowledge and fighting skill make him the ultimate Ranger. Jason closely follows the rules of Martial Arts, and promotes discipline and making friends out of enemies. It is this attitude that got him chosen to represent Angel Grove at the World Teen Summit, a peace conference in Switzerland he attended, leaving the Rangers. 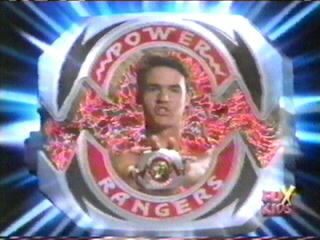 He returned to Angel Grove years later to take on the powers of an injured alien, becoming the Gold Ranger. After the alien reclaimed his powers, Jason was powerless once again, but was able to return years later as the Red Ranger for a special mission in which 10 Red Rangers joined forces to stop the Machine Empire from destroying Earth with Serpentera.